Ralph E. Christoffersen was named the International Society of Quantum Biology Outstanding Researcher of the Year in 1981. 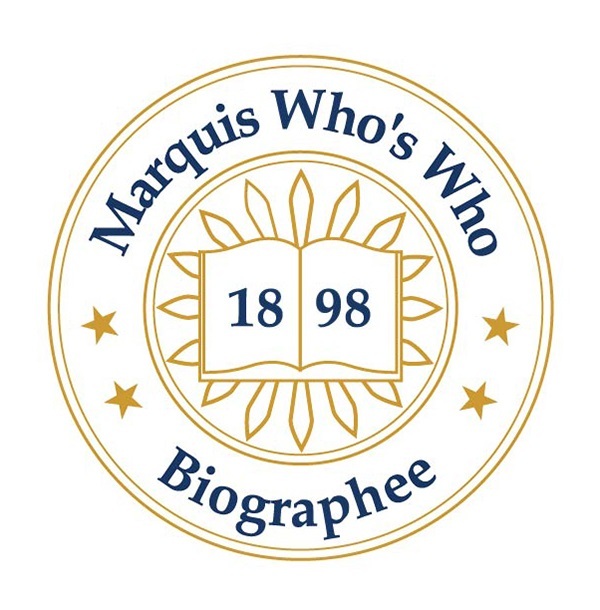 BOULDER, CO, September 18, 2018 — Marquis Who's Who, the world's premier publisher of biographical profiles, is proud to present Ralph E. Christoffersen, Ph.D., with the Albert Nelson Marquis Lifetime Achievement Award. An accomplished listee, Dr. Christoffersen celebrates many years' experience in his professional network, and has been noted for achievements, leadership qualities, and the credentials and successes he has accrued in his field. As in all Marquis Who's Who biographical volumes, individuals profiled are selected on the basis of current reference value. Factors such as position, noteworthy accomplishments, visibility, and prominence in a field are all taken into account during the selection process. Since 2012, Dr. Christoffersen has been a founding partner at Lightstone Ventures. Additionally, he has been a general partner at Morgenthaler Ventures since 2001. He spent time at the Ribozyme Pharmacy, Inc., in Boulder, CO, as a chief executive officer and president from 1992 to 2001 and chairman of the board in 2001. Leading up to these appointments, he was employed by SmithKline Beecham in King of Prussia, PA, as a vice president of research from 1989 to 1990 and the senior vice president of research from 1990 to 1992. Dr. Christoffersen worked at Upjohn Company as an executive director from 1983 to 1985, the vice president of biotechnology and basic research support from 1985 to 1987, and the vice president of discovery research from 1987 to 1989. He also spent time as a president of Colorado State University in Fort Collins, CO, from 1981 to 1983. In the two years prior to these opportunities, he was the vice chancellor for academic affairs at the University of Kansas in Lawrence, KS. Also at the University of Kansas, Dr. Christoffersen was an assistant then associate vice chancellor for academic affairs from 1974 to 1975 then 1976 to 1979. His first professional position was at this university as an assistant professor of chemistry from 1966 to 1969. He went on to become an associate professor from 1969 to 1972 and a professor from 1972 to 1981. He is on the board of directors for such companies as Elcelyx Pharmaceutical, Tragara Pharmaceutical and Nimbus Pharmaceuticals. Dr. Christoffersen's interest in chemistry began when he took chemistry in high school and had inspiring and influential teachers. He found himself following this career path when one opportunity would lead to another. His academic career began at Cornell College, where he earned a Bachelor of Science in 1959. Ultimately, he received a Doctor of Philosophy from Indiana University in 1963. After obtaining some hands-on experience in the field, he received an honorary doctorate from Cornell College in 1983. In addition to contributing articles to professional journals, Dr. Christoffersen has written approximately 100 peer-reviewed publications. As an established professional in the field, he holds membership with such prestigious organizations as Phi Lambda Upsilon, the Colorado Bioscience Association, and Sigma Xi, where he was also a fellow. For all of his accomplishments throughout his career, Dr. Christoffersen has been awarded the National Institutes of Health Fellowship from 1962 to 1963 and 1964 to 1966, as well as the Alfred P. Sloan Fellowship from 1971 to 1973. In 1981, he was named the International Society of Quantum Biology Outstanding Researcher of the Year. For biotechnology contributions, he received the W.E. Upjohn Award in 1988. He also was awarded the Lifetime Achievement Award by the Colorado Bioscience Association in 2013 and the Leadership Service Award from Cornell College in 2014. In recognition of outstanding contributions to his profession and the Marquis Who's Who community, Ralph E. Christoffersen, Ph.D., has been featured on the Albert Nelson Marquis Lifetime Achievement website. Please visit www.ltachievers.com for more information about this honor.